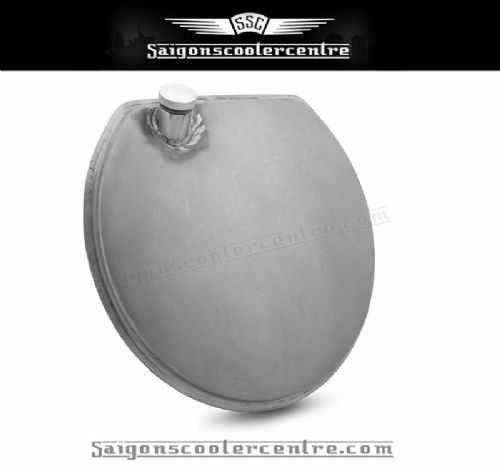 DESCRIPTION: PREMIUM QUALITY LARGE SIZE FULL WHEEL CENTRE MOUNTED RESERVE FUEL TANK, CENTRE FIXING BOLT INCLUDED . SUITABLE FOR 10” WHEELS ONLY. SUPPLIED IN BARE METAL . APPROX CAPAPCITY 5L.